Israel is expected to receive a German submarine capable of carrying nuclear warheads. The fifth German submarine to be delivered to Israel this year, Maariv Israel newspaper reported. Worth $400 million, the German submarine is the most advanced and expensive of its kind, the newspaper added. The Israeli newspaper stated that the Haifa-bound submarine will leave the German port of Kiel in the coming few days. The Israeli Navy is expected to receive its sixth submarine by 2019. In September, Israel received its fourth German submarine, worth $657.28 million. The plan has been for Israel to receive six German made Dolphin-class submarines, each 68 meters long, with 10 torpedo tubes. 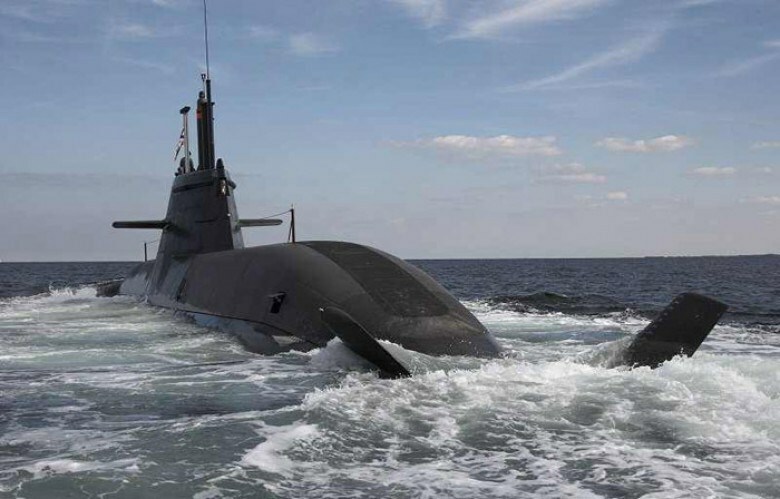 According to Israeli media, the Dolphin-class submarines can carry long-range nuclear heads and launch missiles; they are capable of remaining underwater for two weeks and evading monitoring devices. The Maariv newspaper reported that German parties slammed the decision specially that it comes in light of the Israeli continuation of refusing the international and German pressures for making progress in the peace process. The German Chancellor Angela Merkel suspended the deal of selling the Dolphin-class submarines for a few months after the Israeli Prime Minister Benjamin Netanyahu had refused in 2014 the German demands to stop settlement construction, but Germany retreated very soon. 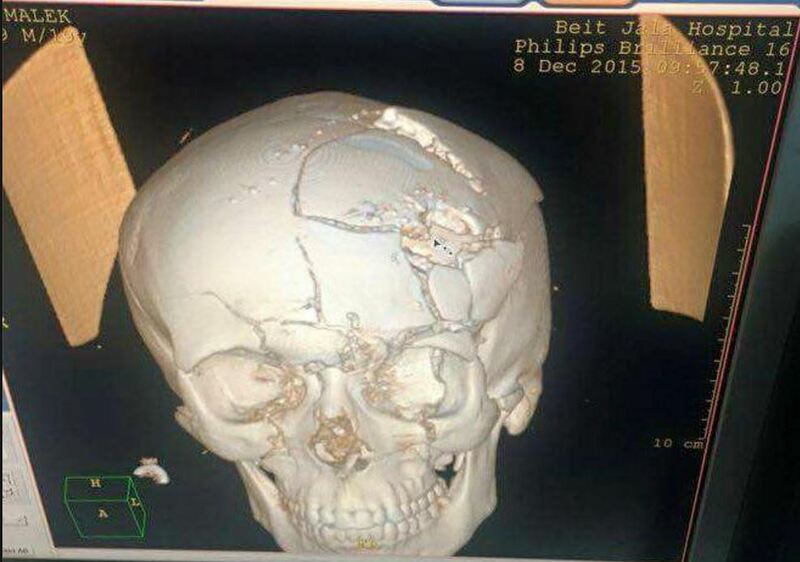 Surgeon: "Malek Was Shot In The Head With A Hollow-Point Bullet"
A Palestinian physician in Bethlehem said, Tuesday, that the Israeli bullet that killed the teen in the Deheishe refugee camp, in Bethlehem, is a new type of internationally banned hollow-point bullets, which expand upon impact. Journalist Nasser Lahham, the head of the Palestine office of the al-Mayadeen Satellite News Channel, and the editor-in-chief of Maan News Agency, said one of the surgeons in Beit Jala Governmental Hospital has informed him that Malek Akram Shahin, 18, was shot in the head, with a new type of hollow-bullets. The surgeon said that the bullet penetrated Malek’s skull, has detonated into more than 300 smaller pieces, causing numerous fractures to his skull and extensive brain damage. He also stated the bullet seems to be advanced type of hollow rounds the army is using, even more dangerous than the Dumdum illegal rounds, which detonate upon impact. Such bullets can cause damage to an aircraft, armored vehicles, and are designed to maximize tissue damage, bones, blood loss and shock. Hollow bullets have been prohibited since The Hague Convention of 1899, Declaration III, that came as a continuance of the Sr. Petersburg, which banned the use of all exploding rounds. However, the Israeli army has been frequently using those types of rounds against Palestinian civilians, including in the First Intifada of 1987. Back in October, surgeons in the Hadassah Israeli Hospital in Jerusalem amputated the leg of child detainee, Issa Adnan Abdul-Mo’ty, 13 years of age, after various surgeries failed to save his right leg. He was also shot with a Dumdum bullet. Earlier in November, detainee, Issa Jalal Sharawna, 17 years old, had his leg amputated, in Assaf HaRofeh Israeli hospital, as a result of severe injuries he sustained in early October, after he was shot by Israeli settlers.